Availability: This item is currently unavailable! 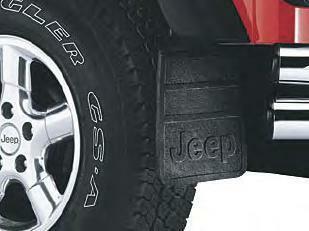 Flat Rubber Splash Guards for the Jeep Wrangler are constructed of ultra-thick rubber to provide maximum protection and great style. Sold in pairs and feature vehicle logo. Black, Front or Rear, set of two. Please select type above. Great looking, easy installation. Very sturdy, happy with the purchase. This is a great product, had them professionally installed and they are perfect.